Mark Sanchez - Special Order Photo.---If no thumbnail appears, email the photo name to "Jeff@finalshot.com" and a thumbnail will be quickly provided for approval prior to photo production--Not licensed. Darnell Bang - Special Order Photo.---If no thumbnail appears, email the photo name to "Jeff@finalshot.com" and a thumbnail will be quickly provided for approval prior to photo production--Not licensed. S. Smith - Special Order Photo.---If no thumbnail appears, email the photo name to "Jeff@finalshot.com" and a thumbnail will be quickly provided for approval prior to photo production--Not licensed. John Robinson - USC - Special Order Photo. -- If no thumbnail appears, email the photo name to "Jeff@finalshot.com" and a thumbnail will be quickly provided for approval prior to photo production--Not licensed. Rob Johnson - USC - Special Order Photo. -- If no thumbnail appears, email the photo name to "Jeff@finalshot.com" and a thumbnail will be quickly provided for approval prior to photo production--Not licensed. 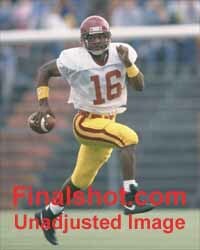 X Peete - USC Special Order Photo. -- If no thumbnail appears, email the photo name to "Jeff@finalshot.com" and a thumbnail will be quickly provided for approval prior to photo production--Not licensed.